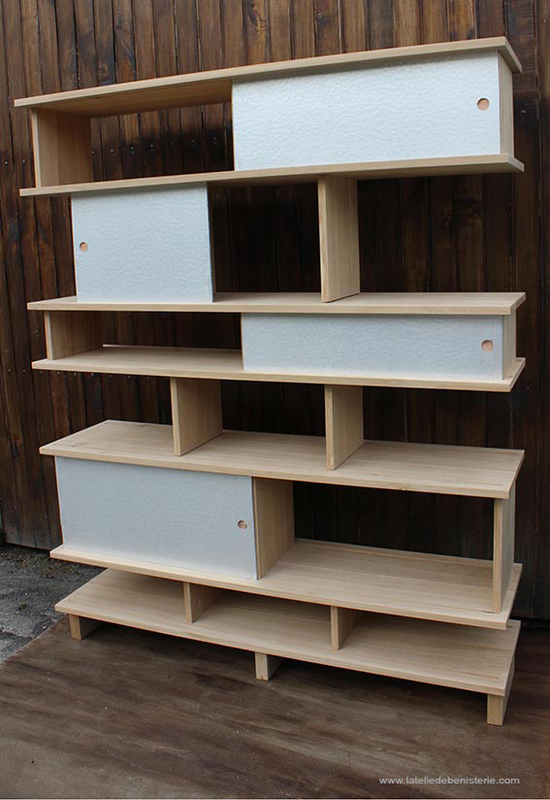 A modern bookcase made to measure, for a Parisian apartment, architect project. 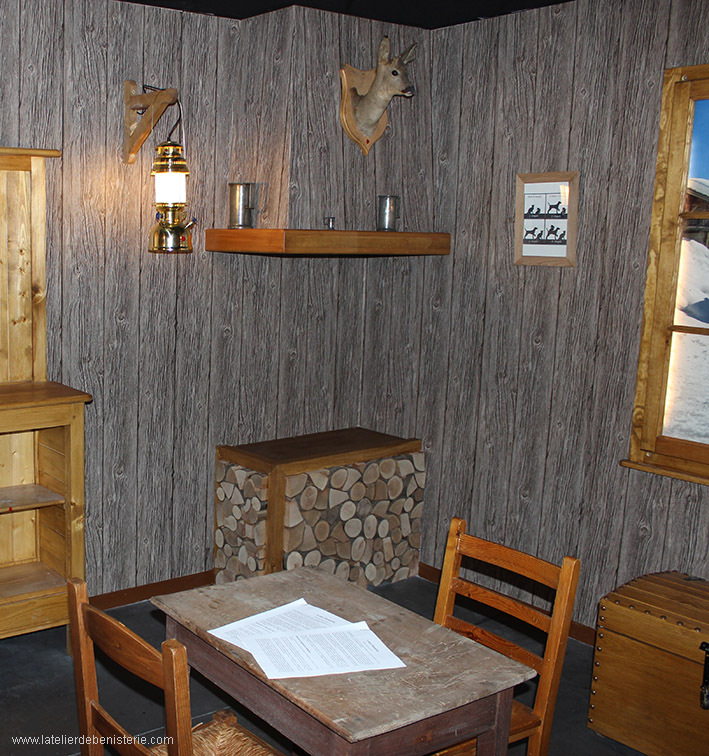 Escape game arrangement. Each element created has secret compartments. 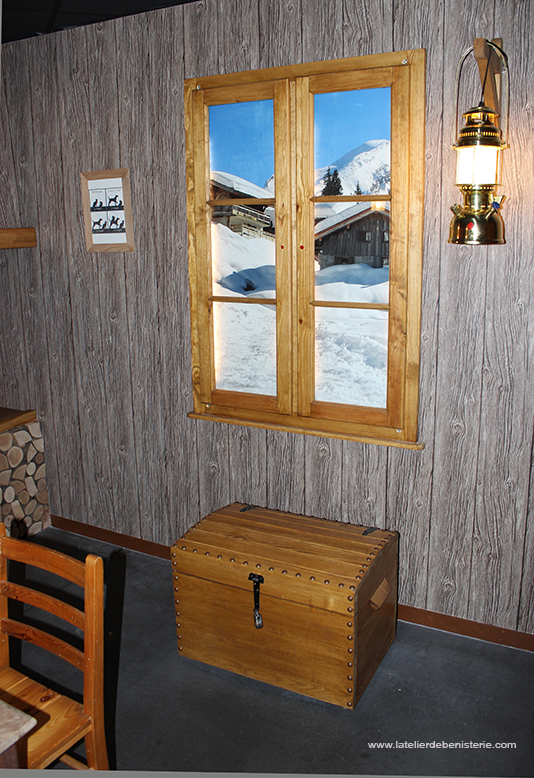 The aim of this game is to solve enigmas in order to escape from the locked room. Project made for bowling BMB AMIENS. Picardy region - Northern France. 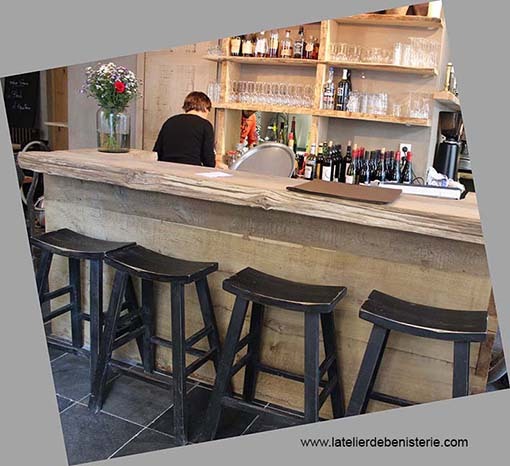 Arrangement of a restaurant designed by Mr. Franck Delmarcelle, Parisian architect - etcaetera Gallery. The parts were manufactured in solid oak, of traditional manner. 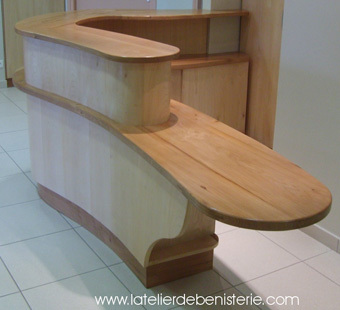 A contemporary reception counter with curved lines, sycamore veneer and solid elm. Project designed and manufactured for a dental office.